Well, we knew it had to happen sooner or later – Dapper Mister Theodore, aka Teddy, aka Bullmarket Absolut To Catch a Thief, has finally made his catwalk debut as a model. To be more precise, Teddy debuted as the new “face” of Golly Gear, the world’s best store for small dogs and the people who love them. 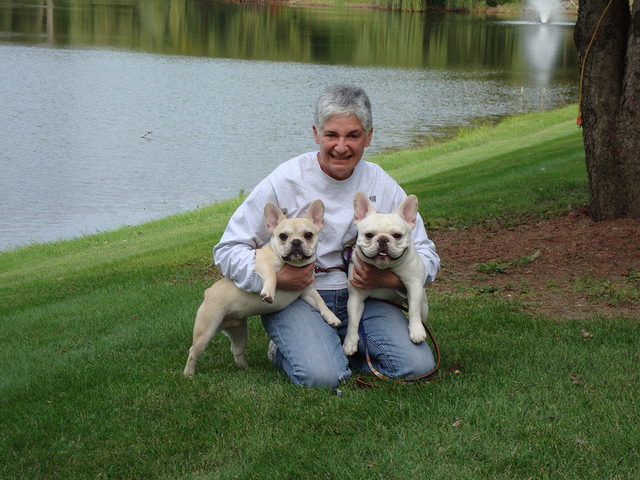 Carol http://www.bullmarketfrogs.com/wp-content/uploads/2015/06/bullmarket-logo.png Carol2011-04-08 09:38:012011-04-08 09:38:01Famous Frenchies Friday! Let me preface this rant by saying: I love most of the veterinarians I have ever dealt with. The majority have been pleasant, intelligent, and have dealt with me rationally. I have been happy to put the life of my pets into their hands. Lately, however, a few glaring exceptions have reared their ugly heads. Recently, I got a phone call from someone who had purchased a French Bulldog (not from me) a few years ago. Since their own breeder has gone awol, we’ve developed sort of a surrogate help line relationship. At any rate, one morning they noticed that Albert was limping. This was a clear limp – he was favoring his left leg, and walking with a sort of hop-skip step that usually says to me “ouch, something is hurting me”. It’s not to be mistaken with the “complete foot lifted off the ground, I can’t put any weight on this at all” step, but it’s still a limp. Immediately, they made an appointment to take Albert in to the vet’s office, which is located in Manhattan and shall – for now – remain nameless. This is a really modern clinic – they have all of the bells and whistles, including some stuff I’ve never even heard of. At the appointment, Albert’s examining vet manipulates his leg, agrees that yes, it looks painful, and immediately recommends treatment consisting of a $3500.00 MRI, and patella replacement surgery – likely on both knees, including the one Albert wasn’t limping on. This was after a cursory diagnosis consisting of a five minute manipulation, and a twenty second case history. Estimated cost of double patella surgery? $10,000 minimum, and possibly more. Now, Albert’s parents are good people, and if $13,000 worth of surgery were required to save his life, I have no doubt that they’d beg, borrow and max out credit cards to raise it – but $13,000 for a limp? They called me in a panic, and wanted to know what to do. Should they do the MRI? The vet said the MRI was ‘just a formality’, and that Albert would definitely need the surgery. OK, first of all – since when is an MRI a formality? Why would you bother doing it, if you’d already decided ahead of time that you were going to operate on this dog, no matter what the MRI results showed? I’m sure it could not possibly have anything to do with the fact that this MRI machine is rather new, and comes with a hefty price tag. I do like the way that the vet explained that a ‘pre surgical MRI is sort of like pre surgical blood panels’, giving the vets a base line idea of what is going on. Of course, the big difference is that blood panels don’t come with a $3500 price tag, but that’s a minor quibble. Secondly, since when is the instant reaction to a relatively mild limp in an another wise healthy and asymptomatic dog “Let’s cut him open”? How is this reasonable? What happened to the ‘let’s watch and see if it gets worse’ school of thought? Would it hurt the dog to leave it for a day or two? If this really is patellar luxation, what’s a week or two? My suggestion (as a non veterinary layperson) was what I usually recommend for anything ouchy – crate rest and anti inflammatories. My second suggestion was more emphatic – find a new vet, at least for a second opinion. More exactly, my reaction was “try crate rest and anti inflammatories for a few days, and if he doesn’t seem any better in 48 hours, go see a different vet for a second opinion”. They did, after borrowing a crate from friends, and in less than 48 hours Albert was walking normally again. They still got a second opinion, this time from an old time veterinarian out in Queens that Bulldog owning friends suggested. He didn’t have a shiny, high tech clinic, but he acted like he enjoyed meeting their dog, and he told them that Albert seemed just fine to him. Sometimes, less really is more – less veterinary care, less invasive methods of treatment, less panic. Sadly, this is NOT the first time I’ve heard MRIs “prescribed” for minimal issues, including one other case of slight limping. I tell people to apply the ‘what would you do it were YOU?’ rule – if it was your knee, and you had a slight limp, would you run out and get a $3500 MRI – and would you let your doctor cut your knee open immediately, or would you take some aspirin, apply a cold pack, and wait it out? My second encounter with veterinary stupidity came in the form of some vet records I read just recently. Overall, they illustrated a case history of a vet who had routinely fleeced his well meaning owners for every dollar he could get, but one item stuck out like a sore thumb – he had made them come in monthly to get their dog’s flea medication applied. In office. For a fee. And no, he didn’t make this optional, but rather seemed to suggest that this is just how it’s done. 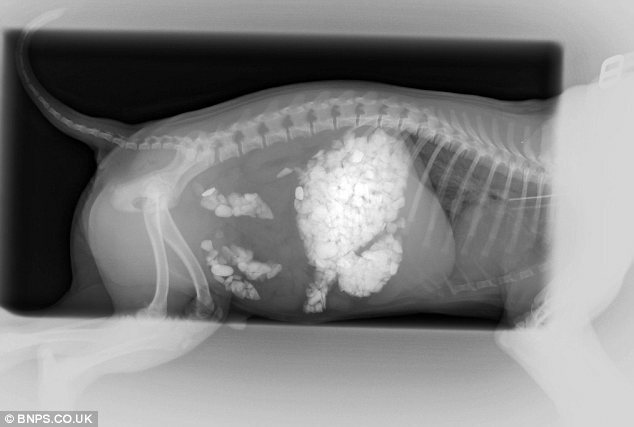 Seriously, vets – WTF? It’s hard to stick up for you as a profession that I like and respect, when some of you are acting like snake oil salesmen. And speaking of malfeasance, I am happy to report that I have heard back from the CVMO, and that they have deemed my report against the veterinarian who tried to have Teddy killed worthy of a full investigation. Since they only proceed on about 10% of the cases they have reported to them, this feels like a major milestone to me. Let’s hope we can get his license pulled. Speaking of Teddy, here’s his photo update from this week. Proud mom Hope reports that he is the absolute best puppy in the universe. Who am I to argue? I still think it might have just a little something to do with who owns him. 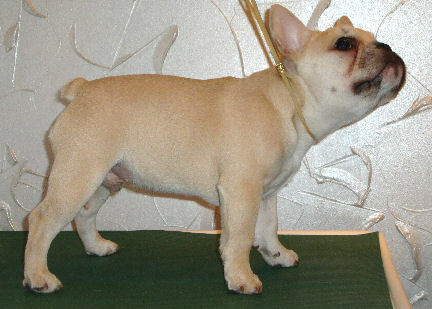 https://i0.wp.com/www.bullmarketfrogs.com/wp-content/uploads/2015/04/Brindle_pied_frenchbulldog.jpg?fit=662%2C662 662 662 Carol http://www.bullmarketfrogs.com/wp-content/uploads/2015/06/bullmarket-logo.png Carol2010-07-22 19:53:362010-07-22 19:53:36WTF, Veterinarians?